Raritan’s space saving, rack mount, LCD console drawers and integrated LCD/KVM switches for convenient, at-the-rack access to servers and KVM switches. 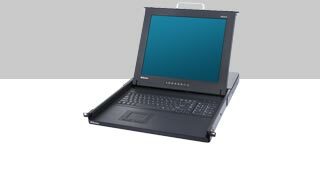 Control 8 or 16 servers directly from the TMCAT17 LCD Console drawer, or access up to 256 servers by cascading with Raritan’s MCCAT KVM Switch. Plug-and-play installation, auto-configuration and easy-to-use, onscreen displays allow you to easily install the TMCAT17 to the rack. Supports 1280 x 1024 video resolution at 150 feet for the local user and 1600 x 1200 @ 60Hz at 100 feet for a remote user through Raritan’s Master Console User Station. 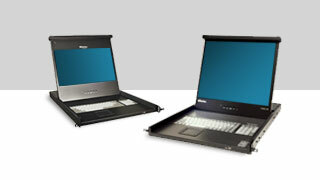 Raritan’s 17″ and 19″ LED-backlit LCD Console Drawers connect to your existing KVM switches and provide video, keyboard, and touchpad functionality for managing multiple servers from a single location.